Members of the Harvard Club of Southern California are cordially invited to attend this special event, organized by the Harvard Business School Association of Orange County. Part of the Harvard Leadership Series. Protect your Company’s assets and intellectual property - Mr. DiSabitono was trained extensively by various US government agencies and consults to some of the most influential business leaders worldwide. He will provide practical field advice and best practices in defending against, and mitigating the impact of, cyber threats, industrial espionage and other relevant and real-world threats...this is typically not taught at in your standard MBA program! ABOUT OUR SPEAKER - Richi DiSabitino, Int’l Security Group, Inc.
As founder of International Security Group, Ltd., Mr. Di Sabatino currently services Fortune 500 companies and their executives with technical security consulting, technical security counter-measures (TSCM), security products and support operations. He is known to provide direction and leadership while actively participating in engineering, design and systems integration. Mr. Di Sabatino is responsible for the design and project management of multi-user, multi-location surveillance systems, secure communication platforms, intelligence gathering and counter-intelligence for his clients. His latest patent pending product KryptAll provides secure communication, without call records, to any phone anywhere in the world. Mr. Di Sabatino worked for the Office of the Attorney General, Division of Criminal Justice, Organized Crime and Racketeering Bureau, and in the late 1980’s was sworn to office as a Special State Investigator in the state of New Jersey, working in an undercover capacity assigned to an international organized crime investigation. In this capacity he employed investigative tradecraft along with technical expertise in the area of electronic surveillance. In the early 1980’s Mr. Di Sabatino was a member of Intelligence Devices Corporation, a research and development facility for covert electronic intelligence gathering equipment and operations, serving under exclusive contract with a United States Government Agency. 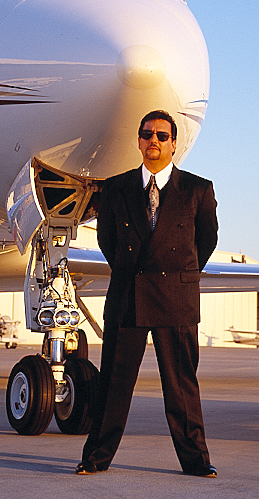 In this context, sources and methods were developed for tradecraft applications with the primary area of concentration in the sourcing of foreign intelligence..
Mr. Di Sabatino is a State of New Jersey licensed private detective specialized in providing investigative services to attorneys involved in both civil and criminal matters. Areas of concentrations include: surveillance, truth and deception analysis (lie detection), technical security counter measures, undercover and background investigations, as well as executive protection and transportation. Additionally, Mr. Di Sabatino developed a commercial security alarm division specializing in custom CCTV systems and digital reporting devices to support larger security firms. Certified as a Voice Stress Evaluator by the Florida Polygraph & Stress Evaluators Association. Certified as a Law Enforcement Trainer by the American Society of Law Enforcement Trainers. Certified expert witness regarding audio and video electronic surveillance by the State of California and New Jersey. Certified, licensed locksmith by the state of California. Certified, licensed Private Investigator and Guard Agency Operator. Appointed as an aide to the Sheriff of Essex County, New Jersey. Responsible for the recommendation of various types of electronic surveillance equipment, and electronic countermeasures within the department. Appointed as Constable for the Town of Bloomfield, New Jersey. Served under the direction of the Chief of Police. Nominated to the committee of GOVSEC 2004 to review the status of and help implement the US Department of Homeland Security’s National Response Plan and National Incident Management System. Board member of the Counter Terrorism Research & Tactical Training Foundation, a registered non-profit 501c3 organization dedicated to counter terrorism awareness and preparedness. Advisory board member of the University of California, Irvine, Center for Unconventional Security Affairs. Boy Scouts of America award for outstanding contribution towards New Jersey. Advisor to the Air Force of Columbia. Advisor to the President of Togo, Africa. Advisor to the Director of Intelligence for the Country of Venezuela. Advisor to the Military Intelligence Agency for the Country of Peru. Advisor to the President of Liberia, Africa. Advisor to various law enforcement agencies within the Government of Mexico. Contributed to the book titled: The Ultimate Spy by H. Keith Milton. The Spy’s Guide by H. Keith Milton mentioned Mr. Di Sabatino as one of the three most recognized TSCM specialist in the country.